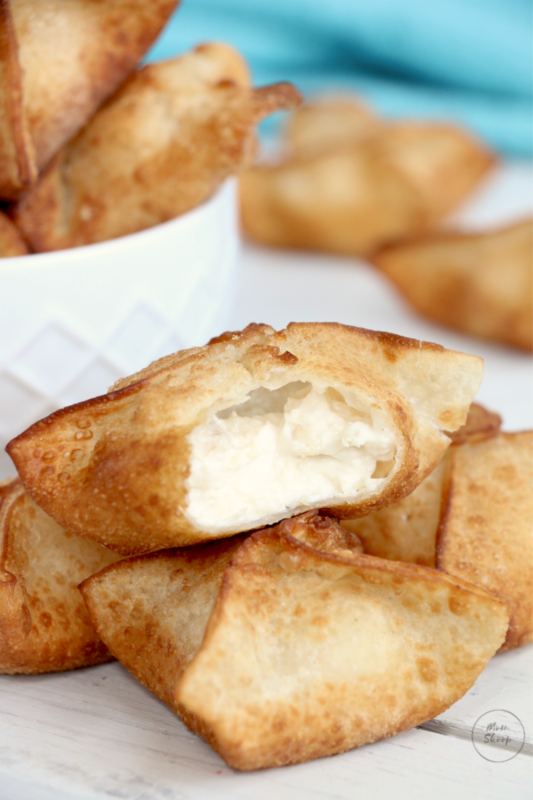 Crab Rangoon are deep fried bites of perfection filled with warm cream cheese and crab. Perfect accompaniments are Sweet Chili Sauce or Sweet and Sour Sauce. 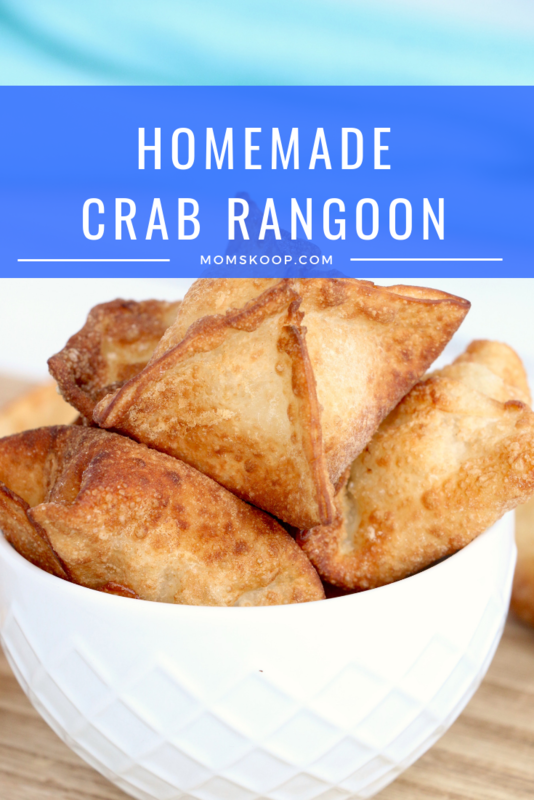 Homemade Crab Rangoon is so easy to make, you will be wanting to make it weekly in your home! If you have ever dined at a Chinese restaurant in the US, then you have probably noshed on the deep fried warm cheese and crab appetizer. But did you know that you can not order these delicious Chinese appetizers in China? When we traveled to China a few years ago, little did we know that what we perceived is Chinese food here, is nothing like it is over there. 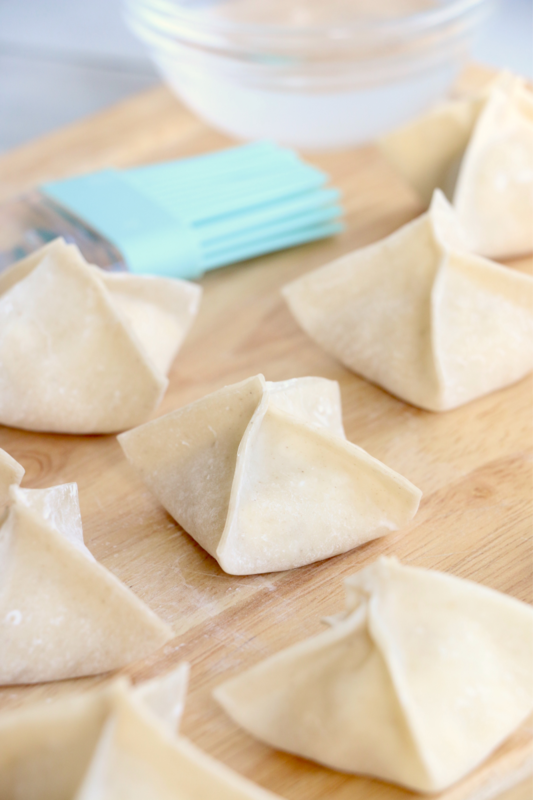 Making Crab Rangoon is actually easier than you think. All you need are three basic ingredients and seasonings. FRESH CRAB OR CAN IT BE CANNED? 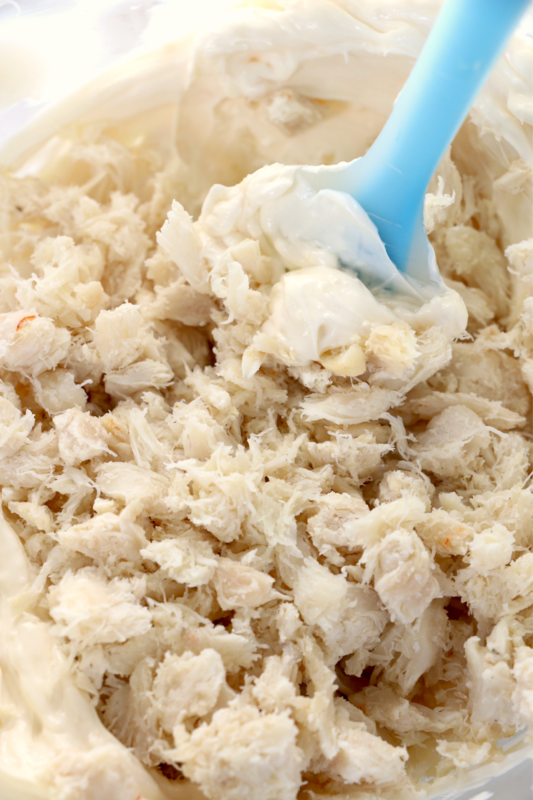 I have used both before, however, I do prefer to use canned crab when I make the crispy appetizers. WHAT TYPE OF DIPPING SAUCE DO YOU USE? I actually like to eat them without any sauce, however, you can serve them up with a Sweet and Sour Sauce , a Sweet Chili Sauce, or soy sauce. HOW DO YOU SEAL THEM? 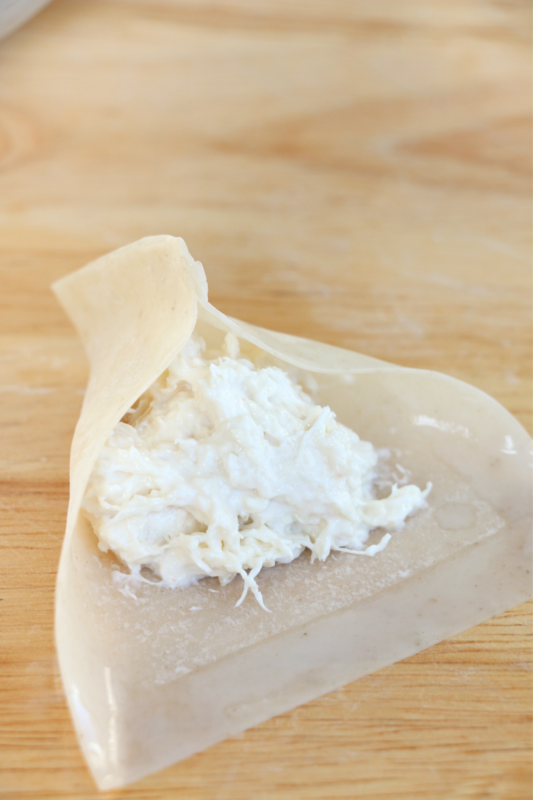 You will need to brush the edges of the wonton wrappers with a little bit of an egg that has been whisked or with water. 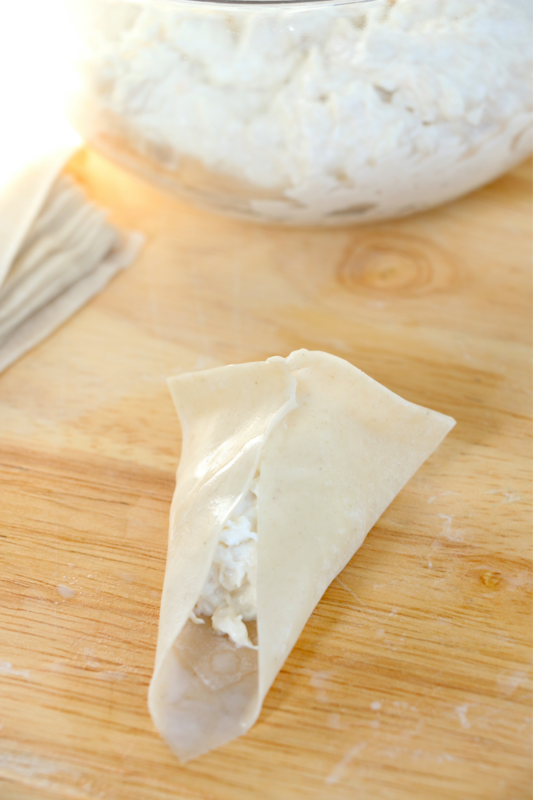 Then once you put the filling inside, you can seal the Rangoon in two different ways. You can either fold the wrapper into a triangle or you can pinch the sides together to make a pocket. 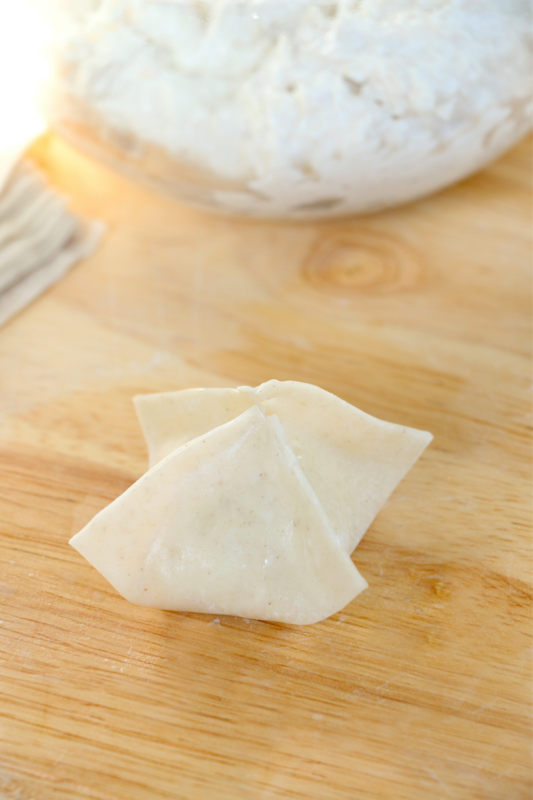 ARE WONTON SKINS AND WONTON WRAPPERS THE SAME THING? Yes, they are the same. Depending on where you shop, they may be called either. 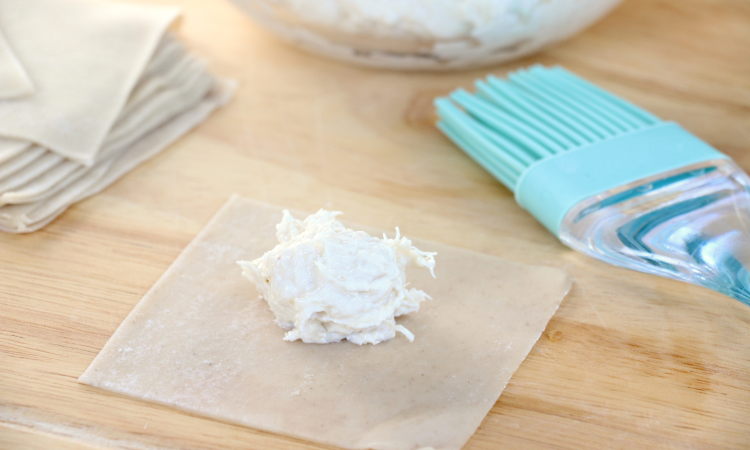 Place them on a baking sheet in an oven that has been preheated to 375°F and bake for approximately 12 minutes. 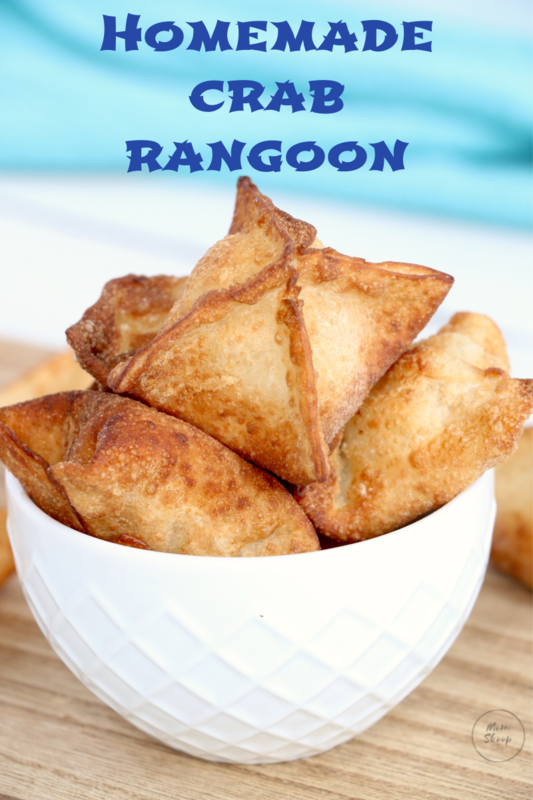 Follow our recipe as below, except preheat your oven to 425°F and place the Rangoon on a baking sheet. Bake for approximately 8 – 10 minutes. WHERE ARE WONTON WRAPPERS LOCATED AT IN THE GROCERY STORE? Ours are located in the dairy section, usually near the Tofu, Egg Roll wrappers and Asian noodles area. 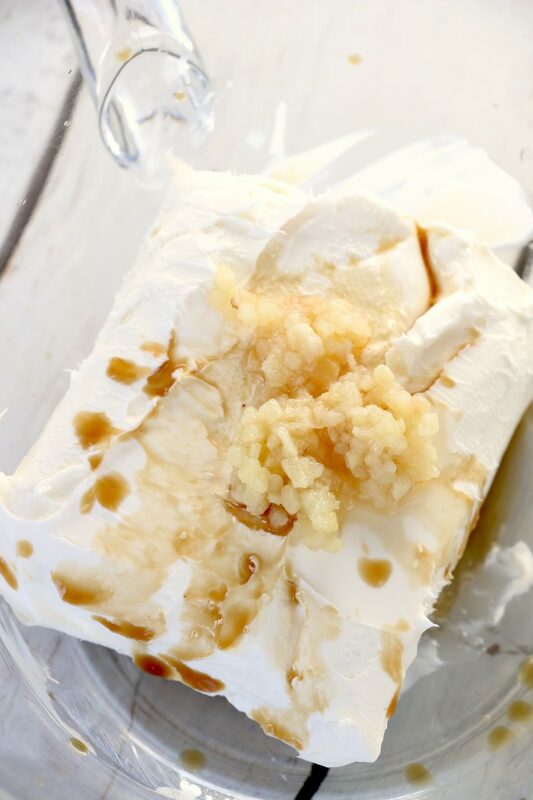 If you are looking for a Chinese restaurant copycat recipe that will be a hit with your family, then this may just be the one! 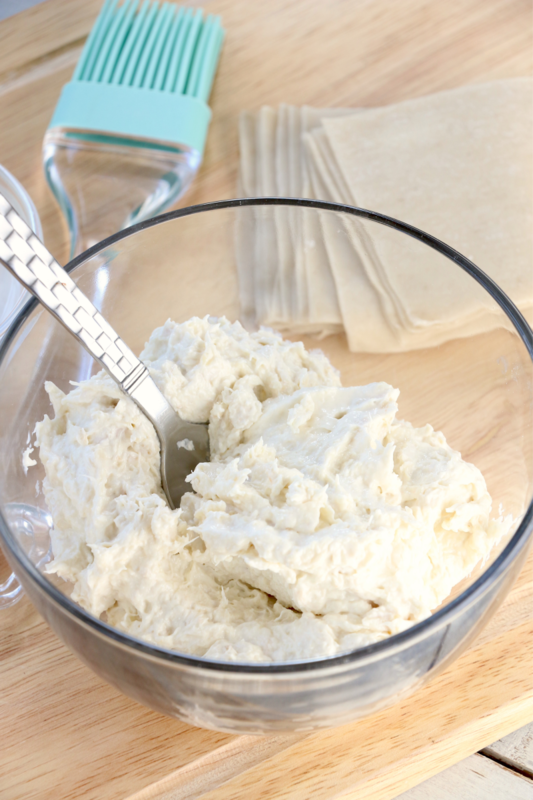 In a medium mixing bowl, combine cream cheese, Worcestershire sauce, garlic, and powdered sugar. 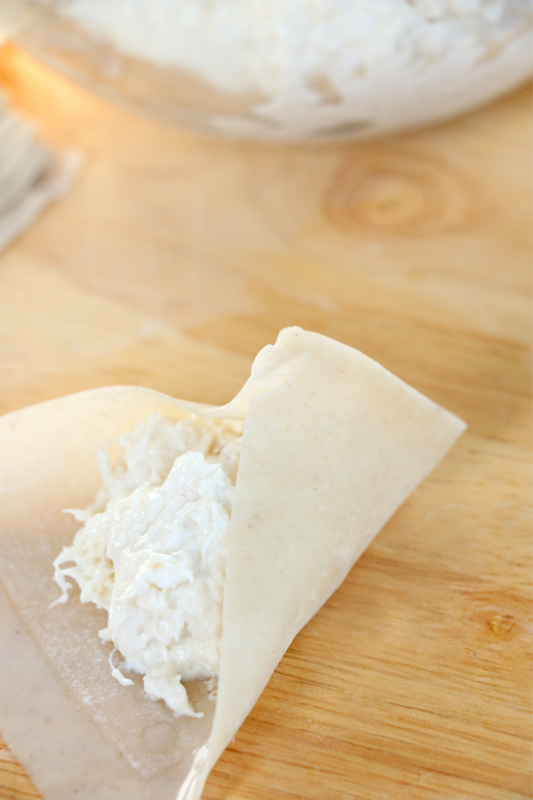 Place a tablespoon of crab mixture in the middle of each wonton wrapper (do not overfill the wrapper or it will not seal properly). 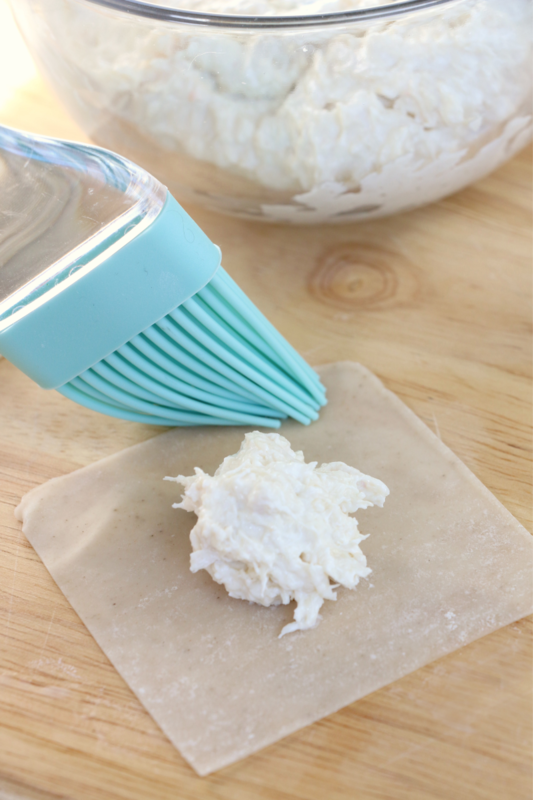 Brush a small amount of water or egg that has been whisked, on all four edges of the wonton wrapper. Pinch corners together, sealing them completely. 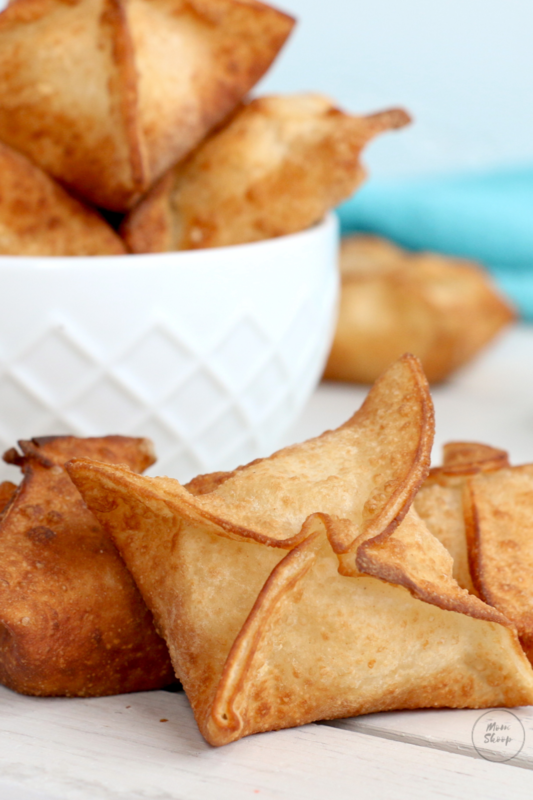 Fry wontons in oil heated to 350 degrees for about 1-2 minutes or until lightly golden. *If you decide to bake these in the oven, make sure to lightly spray your baking sheet with cooking spray so they don’t stick. To finish off the appetizer, you can slice up a couple of green onions and sprinkle them over the top of the appetizers and the plate. 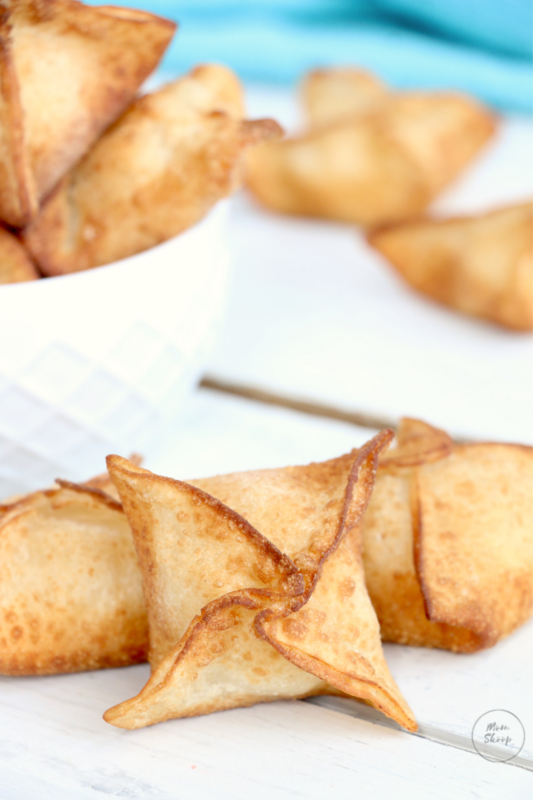 Once you try this easy and homemade recipe for restaurant style Crab Rangoon, you will definitely be making Chinese food at home more often! Nutrition data is just an estimate based on the ingredients we used. Please use your own nutrition tracker for accurate results.